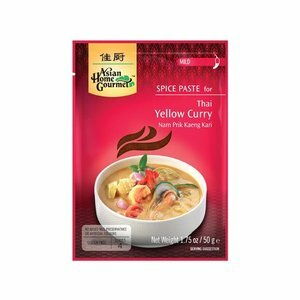 The mixture of koenjit, chili, cumin and other aromatic curry herbs in the Thai Yellow Curry reflect the Indian influence of Thai cuisine. This versatile curry tastes excellent with meat, chicken, fish and vegetables. 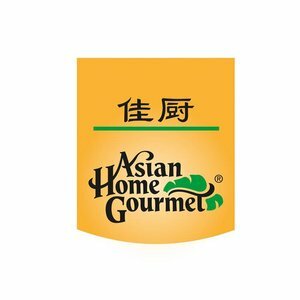 Ingredients: Shallots, soybean oil, salt, garlic, lemongrass, sugar, red chili, grounded coriander seeds, ginger, shrimp paste (shrimp, salt), grounded cumin, mustard, fenugreek, spices. Allergy advice: contains soy, shrimp, mustard. Heat 3 tablespoons of coconut milk in a wok. 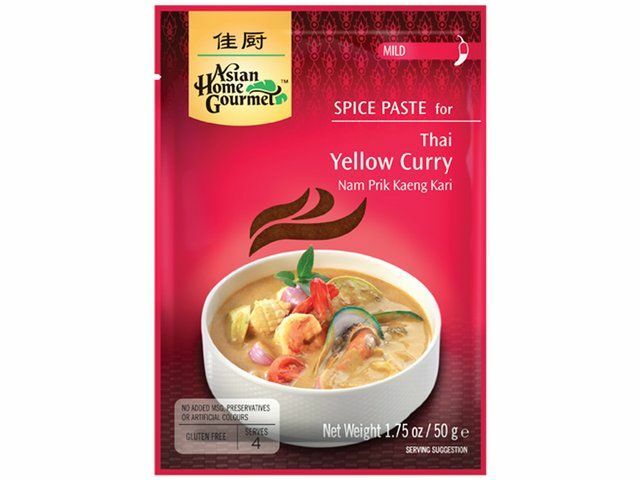 Add the spice paste and stir-fry for 1 minute. Add the meat from the seafood and stir-fry for 1 minute. Then add the remaining coconut milk and the vegetables. Bring the whole to a boil. Simmer for 5 minutes on a low wick (without lid) until everything is done. Season with fish sauce. Serve hot with rice.